What versions of FileMaker Pro/Pro Advanced does fmAccounting Link (MYOB AccountRight Edition) require? fmAccounting Link (MYOB AccountRight Edition) currently works with FileMaker Pro/Pro Advanced v12, v13, v14, v15, v16 and v17. We continue to develop fmAccounting Link (MYOB AccountRight Edition) and will ensure it works with future releases of FileMaker Pro. What version of MYOB AccountRight is required? It does not work with AccountEdge or earlier versions of AccountRight (e.g. v19). The AccountRight API is currently only available in Australia and New Zealand. You can be running AccountRight 201x locally on your computer or in the cloud – the API works the same way regardless of where your AccountRight Company File is stored. Use the fmAccounting Link file as a Controller File – this involves pushing data to the fmAccounting Link file from your existing FileMaker file and use that to handle the uploading/downloading of data with MYOB AccountRight. This is also a relatively quick way to get up and running – you simply write scripts in your FileMaker solution to push Contacts, Invoices etc across from your file to the fmAccounting Link file and use that to handle all the uploading of FileMaker data to MYOB AccountRight. To prevent duplicate Contacts from being created you would create a ‘MYOB Contact ID’ field to store the MYOB Contact ID value, otherwise everything else happens in the fmAccounting Link file. You could then do an upload once a day of all Invoices generated that day etc. We are already using MYOB AccountRight and have existing Contacts, Invoices etc. Is there a way to prevent duplicate Contacts from being created? Yes – the MYOB AccountRight API exposes the MYOB Contact ID field which is their unique identifier for a Contact record. We store this in a field in the fmAccounting Link file in the Contacts table (same for Invoices, Payments etc – they all have their own unique MYOB ID). You can use the fmAccounting Link file to download all existing Contacts from MYOB AccountRight to get access to the MYOB Contact ID values and then create a field in your FileMaker solution to store this, then populate this from the fmAccounting Link file via a relationship based on Company Name etc. Once this is populated any future uploads to MYOB AccountRight will not create a duplicate Contact in MYOB AccountRight but use this for uploading to an existing MYOB AccountRight Contact. Can I use fmAccounting Link (MYOB AccountRight Edition) with FileMaker Server scripts/Perform Script on Server? If you are authenticating via the Desktop API (i.e. your MYOB AccountRight file is stored locally on a server on your network) then you are able to use FileMaker Server scheduled scripts or Perform Script on Server to interact with your AccountRight Company File. As you are required to authenticate with your selected AccountRight Company File you will need to store the Company File credentials (username/password) somewhere where the FileMaker script can access them (i.e. these will need to be hardcoded somewhere). Don’t forget to also ensure that all script steps are server compatible. If you are authenticating via the Cloud API (i.e. your MYOB AccountRight file is stored in the cloud) then you will NOT be able to use FileMaker Server scheduled scripts or Perform Script on Server. The Cloud API requires you to login to the my.MYOB website first before entering the credentials for the selected AccountRight Company File – this is not possible via a server side script as it requires user interaction to enter the my.MYOB login details. Does fmAccounting Link (MYOB AccountRight Edition) use ODBC or export/import of .txt files? No. fmAccounting Link (MYOB AccountRight Edition) makes HTTPS requests to the MYOB AccountRight API to create/update records in your selected MYOB AccountRight company file. If successful the MYOB records are created/updated immediately without having to export and import .txt files or use ODBC. No – the AccountRight API does not support PATCH which means you cannot do a partial update of a record. This means that whenever you are updating an existing MYOB record (e.g. Contact or Invoice) you must pass the full details with each request. If you don’t pass back all the details the API assumes you are wanting to delete those values. This will automatically handle the changes required when using a linked my.MYOB account. What happens when someone updates the same record (Contact, Invoice etc) in MYOB and FileMaker at the same time? You can find yourself in a “record locking” situation where the same record has been updated in both FileMaker and MYOB. 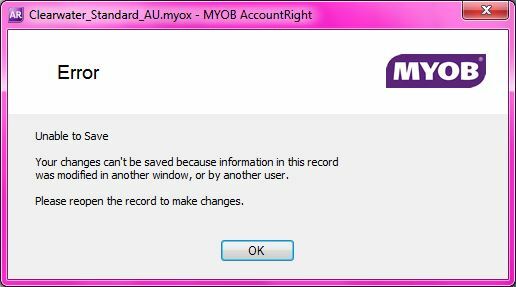 They just need to cancel and open the record again in MYOB to see the latest version that was uploaded from FileMaker. The MYOB API uses a RowVersion field for each record that changes every time the record is updated. The FileMaker user will need to download/update the record first, then make their changes and upload it again. Does MYOB AccountEdge have to be running/open to use the API? No – once you have authenticated successfully and selected the Company File to use all requests to upload/download data function regardless of whether AccountRight is running/open. How does the MYOB Invoice Number get populated? We have a field in the Invoices table named MYOBInvoiceNumber which we populate with the MYOB Invoice Number value, regardless of the above settings. FileMaker Pro Advanced is only required to copy/paste the Custom Functions that fmAccounting Link (MYOB AccountRight Edition) uses when you are integrating this into your own FileMaker solution files. Otherwise you can use both FileMaker Pro and Pro Advanced when using the fmAccounting Link (MYOB AccountRight Edition) functionality. Does fmAccounting Link (MYOB AccountRight Edition) work on Mac OS X? Yes. Even though AccountRight is a Windows only application you can use fmAccounting Link (MYOB AccountRight Edition) on a Mac OS X computer. 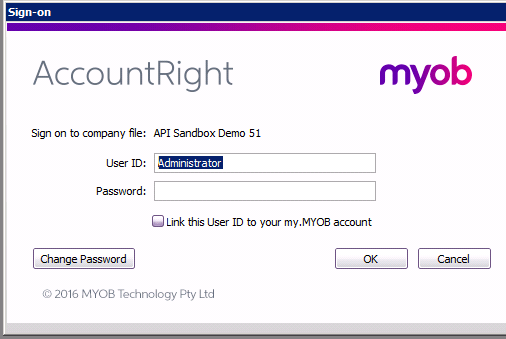 The MYOB AccountRight API can work on any platform. For example you could have a workgroup of Mac users pushing invoices from their copy of FileMaker Pro to MYOB AccountRight running on a Windows server on the same network (or to a cloud hosted MYOB AccountRight Company File). N.B. – you cannot use fmAccounting Link (MYOB AccountRight Edition) with MYOB AccountEdge (there is currently no API available for AccountEdge). If I’m running MYOB AccountRight on my desktop/local office network do I need to install anything? If you plan on using fmAccounting Link (MYOB AccountRight Edition) with a local MYOB AccountRight Company File (either on your computer or a server in your office) please refer to the following MYOB article which explains the different installers available and when to use them. Please make a backup of your MYOB AccountRight Company Files before you make any changes to your AccountRight installation. The AccountRight Server installed is required if you plan to share company files with others on a network – it will also install the API files at the same time. Does fmAccounting Link (MYOB AccountRight Edition) use a plug-in? 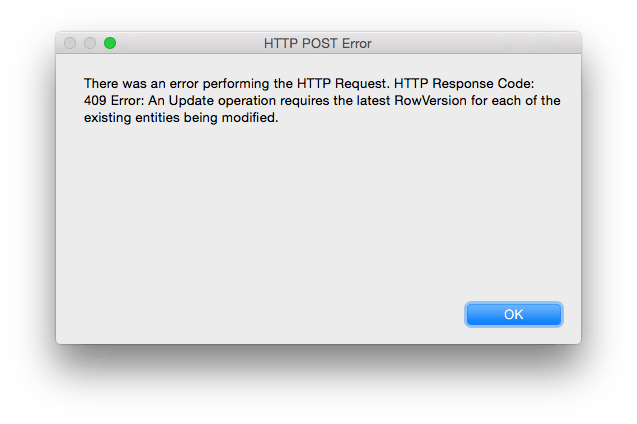 Yes – Filemaker Pro currently does not have the required functions to integrate with the MYOB AccountRight API, so a FileMaker plug-in is required. Is there any documentation to help us integrate fmAccounting Link (MYOB AccountRight Edition) into our own FileMaker solution? I don’t see an example for all MYOB AccountRight API endpoints? We’ve tried to include all the common MYOB AccountRight integration requirements for a typical small business that uses FileMaker (Contacts, Invoices, Payments, Jobs, Bills, Employees etc). We’re happy to add additional examples to the fmAccounting Link (MYOB AccountRight Edition) solution file – as long as it is supported by the MYOB AccountRight API we can create an example. The MYOB AccountRight API does not currently support creating an Invoice and a Contact with a single API call. You will need to upload the Contact first and then upload the Invoice. The MYOB AccountRight API does not currently support creating a Paid Invoice with a single API call. You will need to upload the Invoice and the Payment separately. I’m using the Cloud API and have registered my apps on the my.MYOB portal but I’m getting an error ERR_403_DEVELOPER_INACTIVE when trying to download the Company Files? 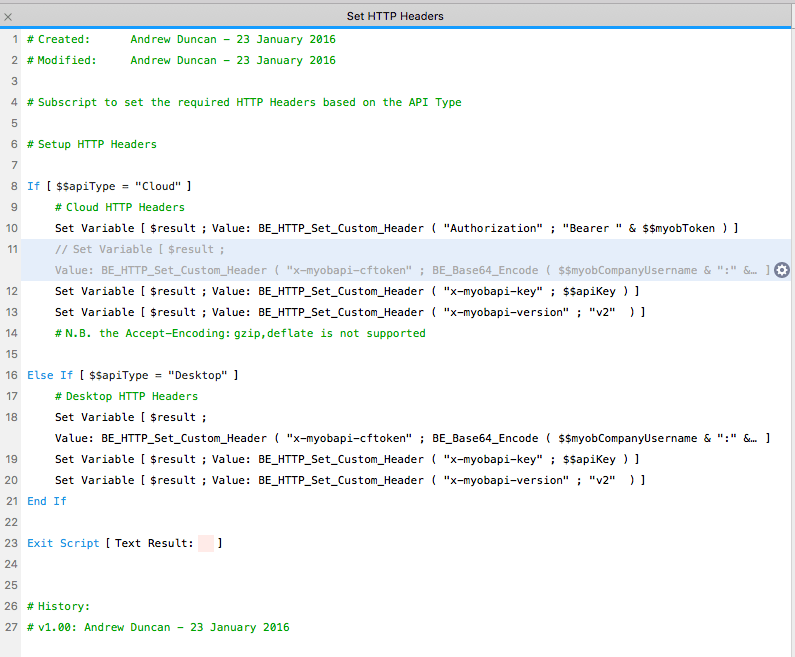 MYOB need to activate your API keys – only the first 2 keys are activated automatically. Once you keys are activated you will be able to make API requests successfully. I’m not familiar with the technique that you’re using to create records when downloading data from MYOB – can you explain how this works? When downloading data from MYOB if we need to create records in another table (e.g. Contacts, Invoices etc) rather than constantly changing layouts to create new records in the correct table we’re using a technique that allows you to create related records via a relationship that has the “Allow creation of records in this table via this relationship” enabled for the relationship. Is there a list of changes in each version of fmAccounting Link (MYOB AccountRight Edition)? If you have any questions about fmAccounting Link (MYOB AccountRight Edition) please contact us and we’ll get back to shortly.